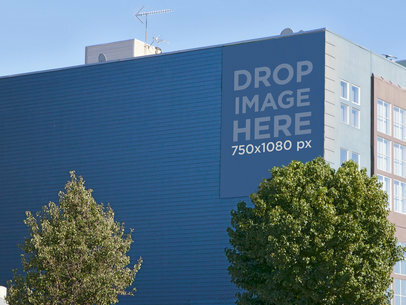 This billboard mockup on the side of a building is a great scenario in which you can promote your business or latest designs to create an impact on your audience or partners. 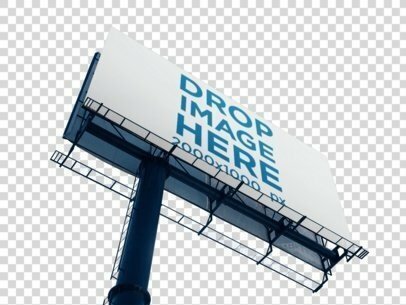 Just add your image to the billboard mockup for a photorealistic visual asset. 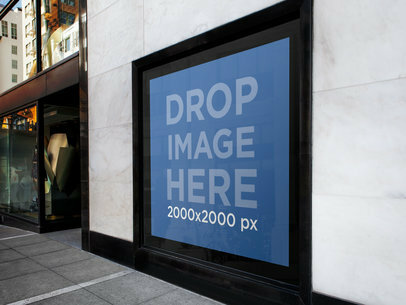 To see another Billboard Mockup click here! 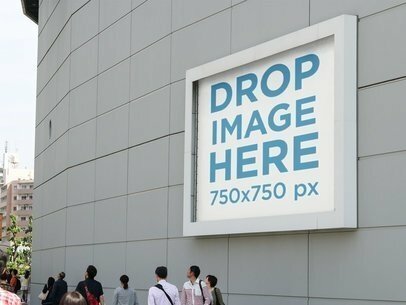 Get ready to win that advertising pitch with this incredible print mockup template! Upgrade your presentation quality instantly with the use of photorealistic mockups, all you have to do is drag and drop your image over the template and you will have the asset ready in no time. 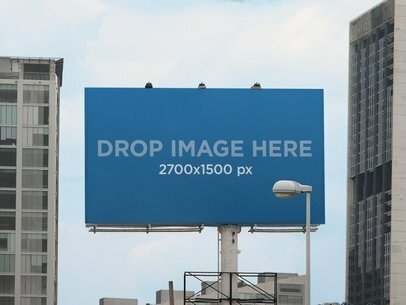 This billboard mockup is just what you need for that urban campaign you're planning to launch. 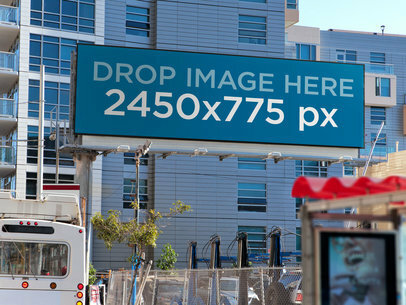 Advertising will never feel fake again with these fresh real-life visuals! 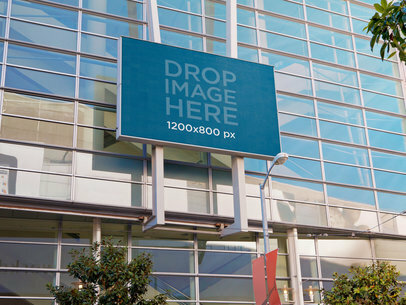 To see another Billboard Mockup click here! Advertise anything you like within this billboard mockup outside a sports stadium and catch your potential consumers attention right away! 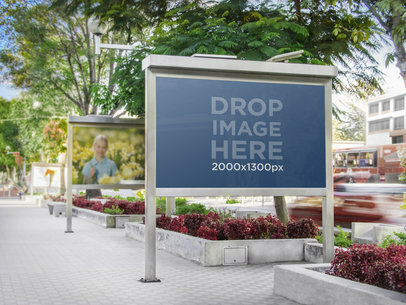 To see more Billboard Mockups click here! Got a new product ready to be launched into the market, but can't seem to come up with an up-to-date way to advertise it? Well, no need to stress because Placeit's banner mockups might be just what you need to solve your problems! 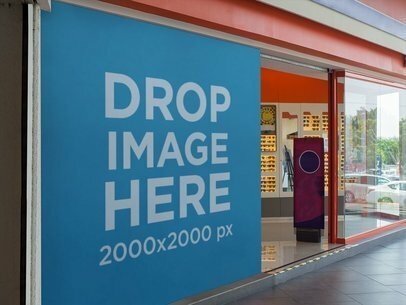 Banner mockups are original, real-life scenario images that allow you to showcase your products or ideas in a relatable way to consumers, making it easier for them to relate to them. How cool is that? So what are you waiting for? Stop wasting time and go ahead and check out banner mockups immediately! 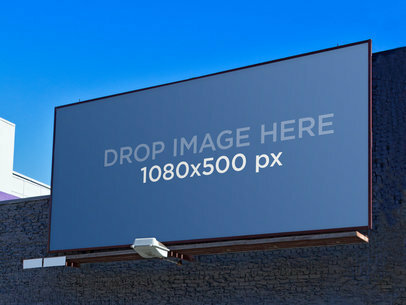 To see another Billboard Mockup click here! 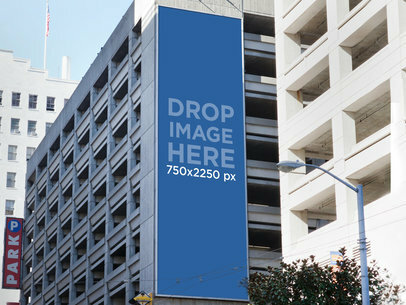 A sky-high billboard can be the best way to showcase your designs. How about this billboard mockup? The shot is almost frontal, although it still is at a small angle from below. The image should be 2000&#215;1000 px in size, or a similar aspect ratio. 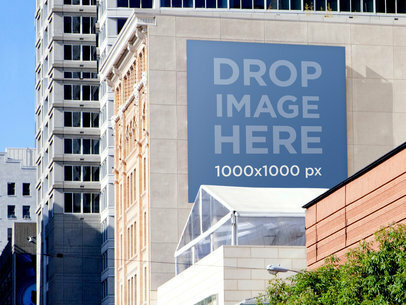 Take a look at this awesome mockup of a billboard sign from below, it's standing against a transparent backdrop! Start using visuals like this and make your revenue grows, all you have to do is drag n' drop an image file on the interface. We will merge it for you in just seconds! Awesome, right? 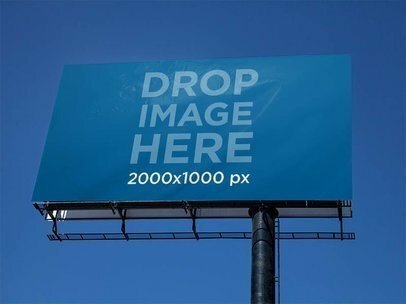 Try another Billboard Mockup here! 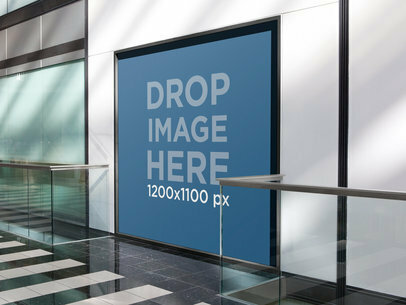 Show off your new ad on this billboard mockup displayed on the wall of a sleek building next to glass handrails in a chic building. The handrails turn into the billboard to give you a perfect clear view. The billboard is set so the bottom aligns with the floor. The floor of the building has a slick black and white tiled design. Paned glass windows are show the left of the billboard. The billboard itself is set on a white wall. It will hold an image of 1200x1100px. 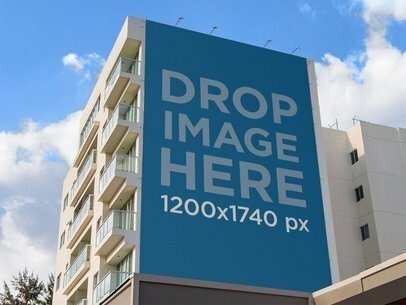 Show off your new ad on this billboard mockup set against a mid-rise apartment building in an urban landscape. The apartments are a dark grey with white accents. They have a blacony and ladder go to the top od the building. The side of the building is red brick. The billboard mockup is placed on that side of the building beside some windows. The bright blue sky can be seen above the building. 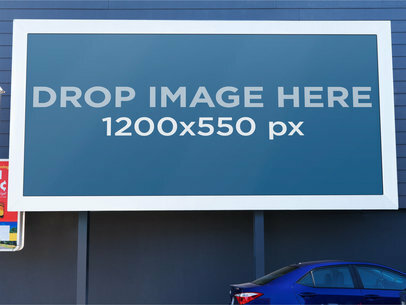 The billboard mockup holds an image of 900&#215;1200 pixels. This is the perfect place for a large advertisment. This is a great place to show off your ad. 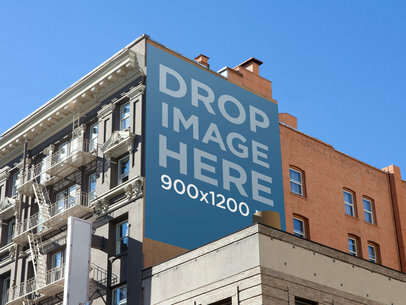 You can set it on this billboard mockup. 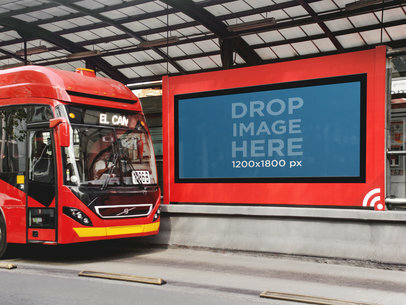 This photorealistic mockup will do wonders for your ad campaign. The billboard is set on a blue wall above a street. You can really take advantage of the color scheme to make your advertisement pop. 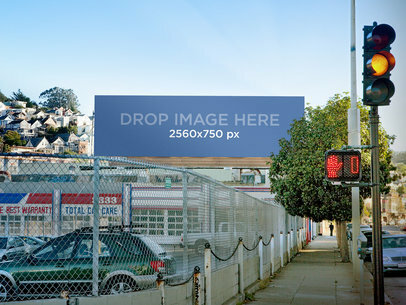 Display your billboard in this photo realistic billboard template that overlooks the city. It holds an image of 2560&#215;750. 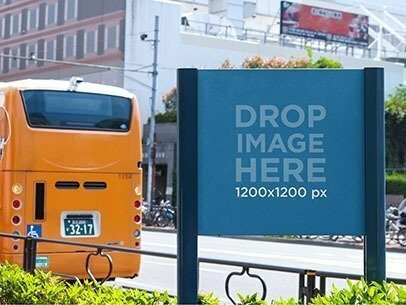 Give your ad mockup the perfect urban setting with this template. in the far back you have a hilltop of lovely homes. In the foreground you have a parking lot in a classic looking neighborhood. 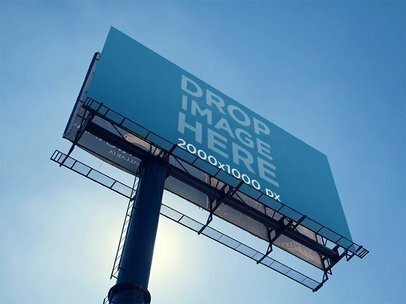 Show off your greatest ad on this billboard mockup. The billboard sits against a glass building. 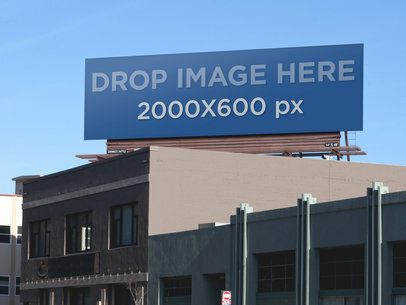 The billboard will hold an image of 2000x600px. This is the perfect place for print advertising. This is a perfect urban setting for any ad. 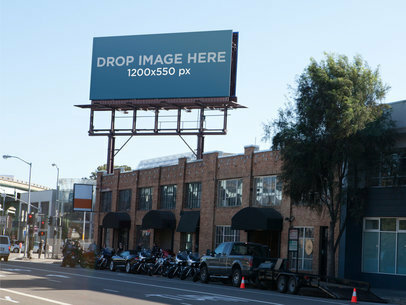 To see another Billboard Mockup click here!